Introduction: Bangladesh is a land of glorious cultural heritage and multi-religion. The name of `Bangladesh’ has designated in 1971 as an independent and sovereign country at the cost of innumerable lives and violation of chastity of women. Its ancient name was Bengal. Bengal had two wings. They are east Bengal and West Bengal. Especially the area of present Bangladesh was called East Bengal. In the regime of Pakistan it was known as East Pakistan (1947-1971). Prior to this, it was ruled (1765-1947) by the British as colonial state. Apart from this, the rulers of various religious faiths had ruled this country in various periods. Some of those were very mentionable, such as the Gupta dynasties (4th – 6th A.D.) who were followers of Hinduism, the Pale dynasty (750-1161) of Buddhist rulers and the Bakhtiar Khilji (from 12th A.D.) and the Mughal dynasty of Muslim rulers consecutively ruled this country. So then, a vast and multifarious socio culture has formed in here. It is the heritage of Bangladesh. Every religious society can observe its own religion and customs with dignity in Bangladesh. Buddhists are the small community in present Bangladesh, considering the number of people. Besides it, it is the third among the four major religions in Bangladesh. Mainly the Pala dynasty had enhanced the Buddhism in ancient Bangladesh (Bengal). [i] They also introduced some inclusive moral rules for the country. The first Pala king was Gopala. He was a unanimously selected king. [ii] The Pala dynasty established democratic system in Bengal and they were the first independent and sovereign ruler in Bengal. It is said to be the golden age of Buddhism in Bengal or present Bangladesh during Pala rulers. Among all glorious heritages of Bangladesh, the Buddhist heritage is considered as most significant. So, Buddhism and Buddhist heritage and culture are inseparably related to Bengal or Bangladesh for last few centuries. Ancient Buddhism of Bengal passed through generations to the present Buddhism in Bangladesh. According to history, the Pala dynasty was ruled in Bengal about four hundred and fifty years. Historically and traditionally Bangladesh is a land of religious harmony and co-existence. Four major different religious followers such as Buddhist, Hindu, Muslim and Christian ruled this country at different periods in the past. Inter-community or inter-religious harmony and friendship is an inherent characteristic of this soil. Now Bangladesh is well known as a moderate Muslim state. But people of other religions are also living here with their dignity and social rights. State constitution also approves these rights. It is very mentionable that constitutionally Bangladesh is a secular state, though Islam is the state religion. In this circumstance the members of Buddhist community are leading their lives as other minority communities in this country. Indeed Government is very sympathetic to the minorities. Despite of the fact that some unexpected incidents are often happened here like other countries. Actually our religious intolerance, illiteracy and immodesty are responsible for that. So, we have to take initiative henceforth to build the modern, progressive, well educated and ethical society. These can be the remedies of this situation because without awakening the consciousness in society, this problem would not be removed. As a whole, we can say that as a democratic state of South-east Asia, the Buddhists of Bangladesh are leading their lives in a very favourable atmosphere and proper religious fervor. How Buddhism Introduced in Bangladesh: There are two types of opinion prevailing in the society about the introduction of Buddhism in Bangladesh. Among those opinions, one is myth and another is history or legendary. According to history, Buddhism was introduced in Bangladesh during Emperor Asoka’s period in 3rd Century B. C.. As we know from Buddhist scriptures such as Mahavamsa[iii] and Dipavamsa[iv] Emperor Asoka sent Dhammadutas to nine places for propagating Buddha’s welfare message. It was called Asoka’s Dhamma Mission led by the then most senior monk Ven. Moggaliputta Thera. [v] Under this Dhamma Mission two prominent monks named Ven. Sona Thera and Ven. Uttara Thera was sent to Suvarnabhumi that indicates modern Thailand, Myanmar and their attached area. It is said that on way to Myanmar the two noble Theras stayed in Bangladesh for some days and they played pioneering role to introduce Buddhism in this land, it was the inception of Buddhism in Bangladesh. 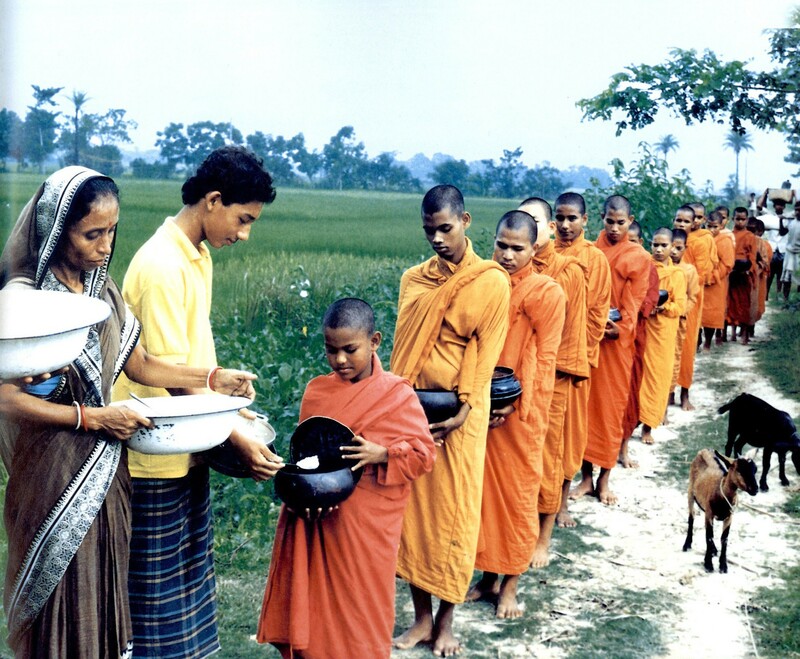 The followers of Buddhism in Bangladesh: There are many different communities among the Bangladeshi Buddhists. It happens due to dwelling environment of the Buddhists of Bangladesh. They are Barua, Chakma, Tanchangya, Marma, Rakhain communities etc. Buddhists are mainly living in Dhaka, Chittagong, Comilla, Cox’sbazar and Chittagong Hill Tracts. In fact majority of Buddhists live in the three hill-district of Chittagong. Basically Barua Buddhists are called plain Buddhists, bearing the title Barua, Chowdhury, Mutsuddhi, Talukder, Singha who generally live in the plain areas of Bangladesh. Chakma and Tanchangya communities live in Rangamati and Bandharban of hill district. Marma and Rakhain communities live in Khagrachari and Bandharban of hill district, Cox’sbazar, Barisal, Patuakhali and in some parts in the plain districts of Bangladesh. Now-a-days some ethnic society members such as Tappa, Khappa, Khiyang from northern side of Bangladesh have been added with the Buddhist Community. They are known as new Buddhists. They are from Naogaon, Rangpur, Dinajpur district etc. It may be mentioned here that, they are not at all converted Buddhists, in fact they were the latent practitioners of Buddhism. 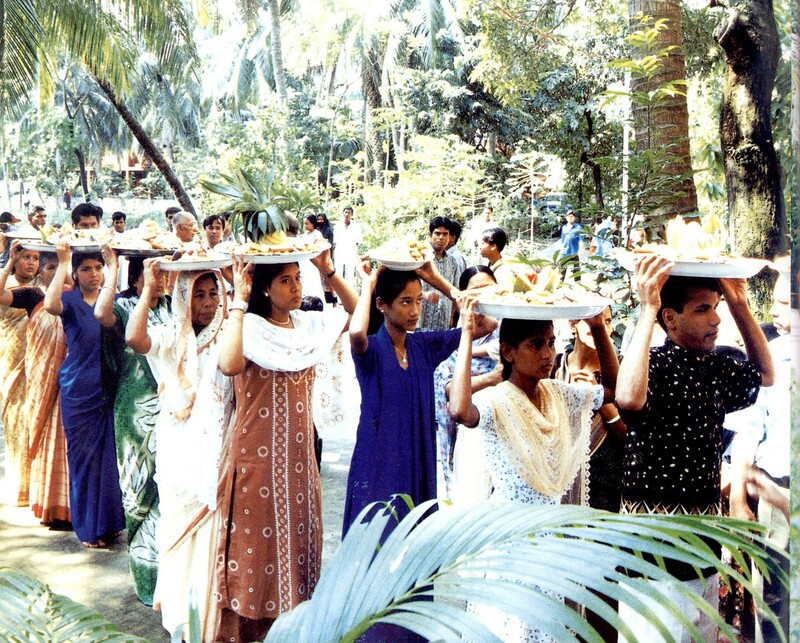 Now they joined in their desired society and have had the opportunity to perform the living Buddhism of Bangladesh. Nature of Bangladeshi Buddhism: Bangladeshi Buddhist Followers belong to Theravada Buddhist culture and philosophy from its very inception. Though Mahayana and Tantrayana Buddhism entered into this country long time ago, their followers, patronization and existence are not to be found now-a-days due to the flourishing waves of Theravada doctrine here. Especially from 7th – to 12th century many streams of Buddhist culture were practiced in this country. The Siddhachariyas (Saint Scholars) like Luipa, Kanupa, Tilupa, Haripa are the pride of ancient Bengal. Through their literary practicing, Bengali language was gradually invented. This was their extraordinary contribution towards the Bengali nation. The Siddhachariyas used to practice the esoteric Buddhism, which was based onTantrayana, Mantrayana, Sahajyana and Kalacakrayana steams of Buddhism. This sort of mixed Buddhist faith was called Buddhist mysticism by many scholars. Though, the main stream of Buddhism was Theravada, some other attachment of practicing was prevailed. These did not cause any interruption for the main stream of Buddhism, but inspired to practice Buddhism properly. Virago settho dhammanam- dipadanan ca cakkhuma. It means- The best path is the Eightfold Path, the best truths are the Four Noble truths, Non-attachment is the best of states. The best of bipeds is the Dhamma that are the rules of Lord Buddha. This is the only way. There is no other way for the purity of vision, which follows this path and for the bewilderment of Mara. Bangladeshi Buddhists have been cultivating those basic rules of Buddhism from the very early period of Buddhism in Bangladesh. 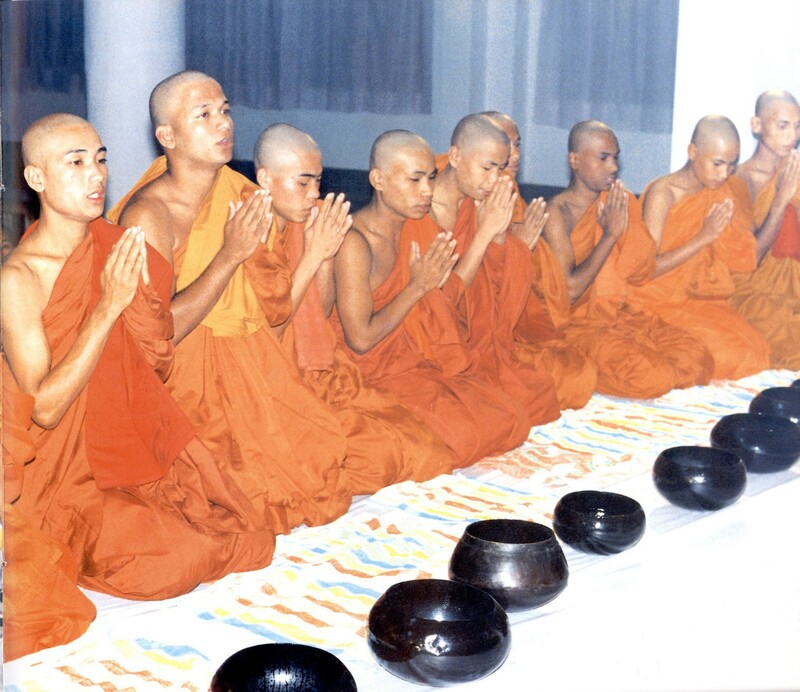 Till today they follow the school of Theravada Buddhism. Variation of Buddhist ritualistic culture in Bangladesh: With the accommodation of modern time and situation the rites and ritualistic culture have turned to variations from one area to another in Bangladesh. According to heritage and cultural point of view there are two kinds of Buddhist religious culture running in Bangladesh. Both are based on Theravada school of Buddhism. One is `Plain Buddhist culture’ and another is `Tribal Buddhist culture’. But, both the religious scripts are same, only rituals and language are different to some extent. Especially marriage and funeral ceremonies are quite different between plain Buddhists and Tribal Buddhists. The Tribal Buddhists are known as `adivasi’ or indigenous. 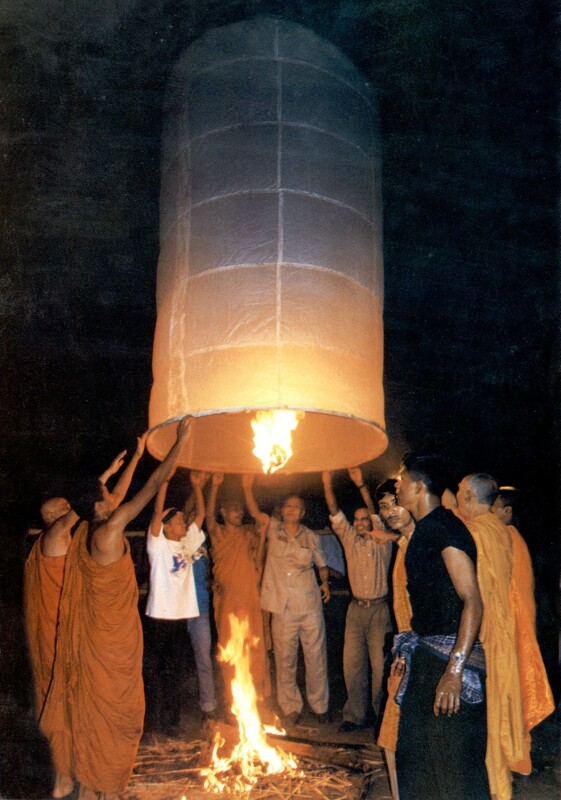 They used to perform some traditional activities like Bamboo-dance and dance with the bier before the cremation. On the other hand the Plain Buddhists have no any such kind of exclusive culture. 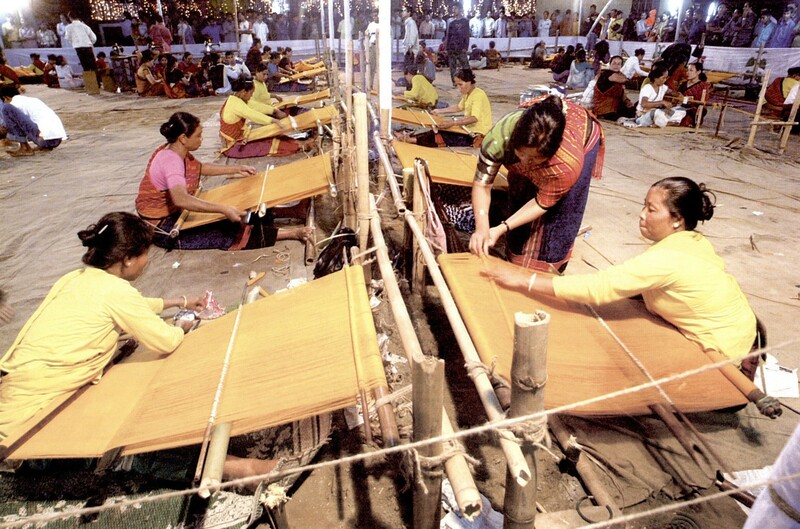 In fact, it is the influence of local culture because, the adivasi Buddhists are living in hilly areas. They have to perform some traditional culture according to their belief and heritage. So, sometimes some religious and social customary rules made difference between plain and tribal Buddhists. It is a matter of great satisfaction that, now-a-days the Plain and the Tribal Buddhists are jointly performing many Buddhist religious programs. It is a good sign for religious unity and social development. Lord Buddha said, -`Sammaganam tapa sukha’ [xii] which means happiness lies in peaceful co-existence. Common aspects in Buddhist ritual: Buddhists of plain area and adivasi both are have some common ritual aspects. They usually start their any socio-religious ceremony with receiving the five-precepts. It is very common custom in Buddhist society whatever the program. Although in purnima day many Buddhists devotees observe the uposatha with receiving eight precepts (Attasila). But prior to commence any program they receive the five precepts with the refuge in Buddha, Dhamma and Sangha, which is very common in Buddhist society. So this is the assimilative chapter in Buddhist ritualistic world. It is very mentionable that, to be committed to precepts, refuge to Buddha, Dhamma and Sangha is compulsory. Here Buddha is Samma Sambuddha, which means `Perfect Enlightened One’. Dhamma or Dharma means Doctrine of the lord Buddha and the Sangha means Community of Buddhist Monks. As a whole, to recall the Buddha, Dhamma and Sangha, means to acknowledge the Buddha and his teachings and ideals. Apart from this, it is customary for every Buddhist to accept the life of Pabbajja once in whole life time. 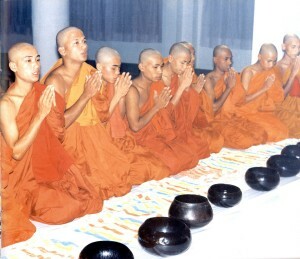 Pabbajja is admission to Buddhist Monastic discipline as novices. 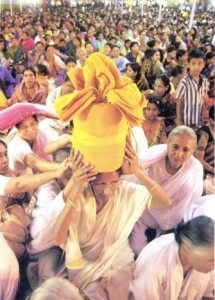 The recipient of Pabbajja is known as `Samanera’. Ten precepts are prescribed for Samanera as per `Monks’ Book law i.e. Vinaya. Purnima Festival in Buddhist Society: Purnima means full moon or lunar day. Traditionally Buddhists are used to observe many Purnimas, especially the Purnima related to the main events of the Lord Buddha’s life. 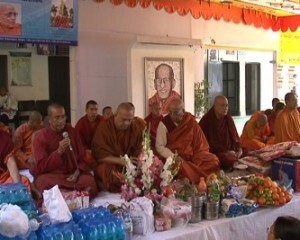 Not only in Bangladesh, but also in the Theravada Buddhists society across the world usually observe many Purnimas. Although Buddhist festivals vary from country to country with tradition and culture, some Purnimas are observed with the very festive mood. 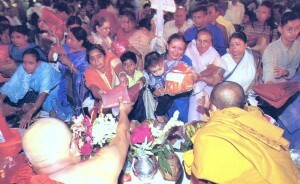 They are Buddha Purnima, Asalha Purnima( Ashari Purnima or Dhamma Day ), Magha Purnima( Maghi Purnima or Sangha Day), Madhu Purnima( Bhadra Purnima), Pravarana Purnima( Ashvini Purnima). Among these purnimas the impact of Buddha Purnima is very highest and greatest in the Buddhist society because this Purnima coincides with three important events of Lord Buddha’s life. Those are birth, enlightenment and mahaparinibbana (demise) of the Buddha. 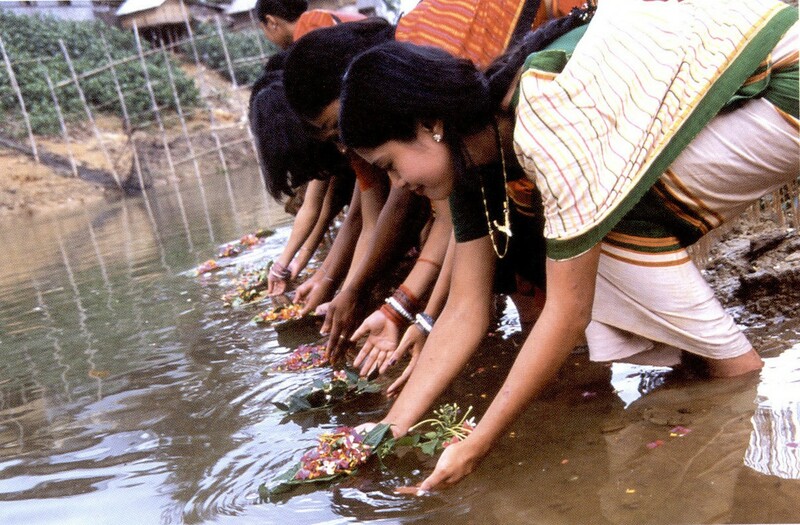 Bangladeshi Plain and `Tribal Buddhists observe this auspicious day on the same day with their local culture. They celebrate this occasion with deep reverence and sanctity. 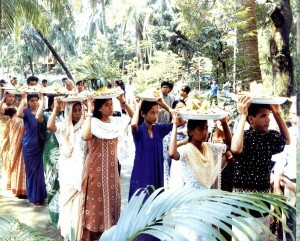 It is usually held in Bangladesh in the month of May. Similarly others Purnima festivals are also observed with due solemnity. 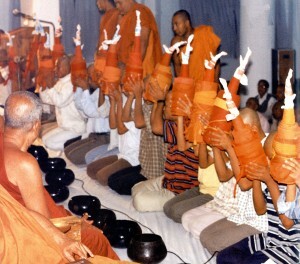 Buddhists are used to practice the Uposatha in every Purnima day. Uposatha is very important factor in Buddhist religion and culture. Uposatha: According to Buddhist terminology Uposatha means to live fasting with behavioral purity. That is to maintain purity in body and mind. We take food regularly every day, without thinking what it means to us. By fasting, Buddhists try to realize the weakness of body, which is the basic cause of desire. Desire means in Buddhist terminology `Tanha’. The `Tanha’ is the main source of all unwholesome activities. Uposatha raises consciousness. Uposatha is considered as a means of developing good morals and justice. 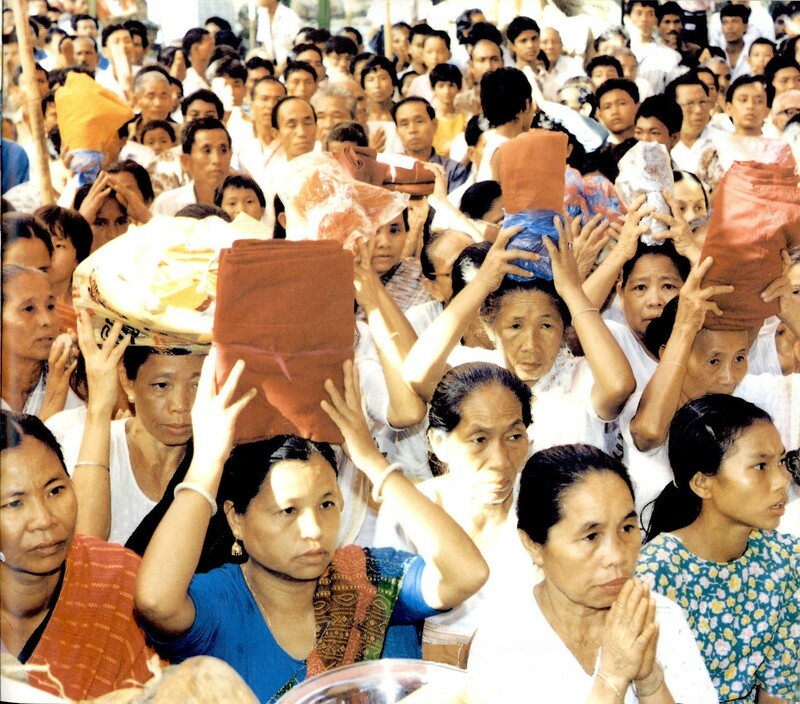 Certain days of a few months are fixed for the fasting by the lay Buddhists community. According to Buddhist script Mahavamsa , one who wants to observe the Uposatha has to maintain eight- precepts. So, it is not merely fasting. On the day of Uposatha Buddhists go to the local monastery; worship the Buddha with flowers, foods and various fragrances. They take refuge in three Jewels, that are the Buddha, Dharma and Sangha, thereafter take vow of eight noble precepts, and offer charity and entertain the monks with foods. Usually, they spend the whole day at monastery and take part in various religious discussions and meditation. The eight precepts or `Atta-Sila’ is those – 1) abstaining from killing any living being. 2) Abstaining from stealing. 3) Abstaining from sexual abuse. 4) Abstaining from lying. 5) Abstaining from the use of any intoxicants. 6) Abstaining from eating after midday. 7) Abstaining from dancing, singing, music, shows and use of garlands, scent, cosmetics and adornment etc. 8) Abstaining from luxurious beds. The Uposatha day generally observed on full and new moon days, and on the first and last quarter of the moon of the month. According to Pali commentary a year is divided into three seasons’ winter, rain and summer, each of four months duration. In every month there are four Uposathas which fall on the days of dark and bright fortnights of the month. In all, there are forty-eight (4 x 12=48) Uposathas in a year. 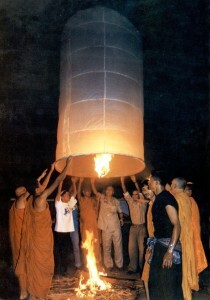 Most of the Buddhists are observed Uposatha ceremoniously during the rainy season, while Buddhist monks observe their three months long holy `Vassabasa’. Though, Upasatha is the regular procedure of Buddhist householders. Particularly aged persons who are free from domestic works or professional duties observe Upasatha days with enthusiasm and zeal. Apart from this, the Theravada Buddhist community is used to observe the Kathina Cibar Dana (yellow robe offering ceremony) and New Year as per their local calendar. Kathina Cibar Dana Festival in Buddhist Society: It is a common annual Buddhist festival in Bangladesh. Cibar means the yellow robe which is used as the wearing apparels of the Buddhist monk. It is offered to the Buddhist monks ceremonially and is called `Cibar Dana Festivals’. Later the Council of monks uses to make it `Kathina’ according to the rules of Vinaya. This sanctification program is absolutely the monks’ program. But the devotees offer the Cibar with the intention to make it kathina. The whole program is called `Kathin Cibar Dana’. Hence, the Kathina Cibar Dana is very much related with some others sanctioned factors or religious customs. This cibar offering program has to be completed by the period of one month, that is Prabarana Purnima( Full moon day of October) to Kartik Purnima (Full moon day of November). Now-a-days the Cibar Dana occasion has occupied a distinctive position in socio-religious perspective. According to Buddhist scriptures the ultimate result of the merit of offering Kathin Cibara cannot be expressed in words, cannot be measured by imagination, it is so uncommon, unusual, invaluable and it is also beyond in any form of expression. Such a sublime and excellence which is the impact behind Kathin Cibar offering. The merits of the Kathina Cibar Dana cannot be compared with other sacrifices or Danas. On the part of the donor too, the Kathina Cibar Dana is the best of sacrifice. It is mentioned in the scriptures that all other sacrifices or offerings, including all kinds of valuable ornaments and kingdom cannot have one sixteenth of the merits that acquire from the Kathina Cibar Dana . It is also known that the donor and receiver acquire five special boons in this life and in the afterlife. Another noteworthy aspect of this Kathina Cibar Dana is that, this must be done on a particular day in a particular month, though other robes may be offered on any day of the year. 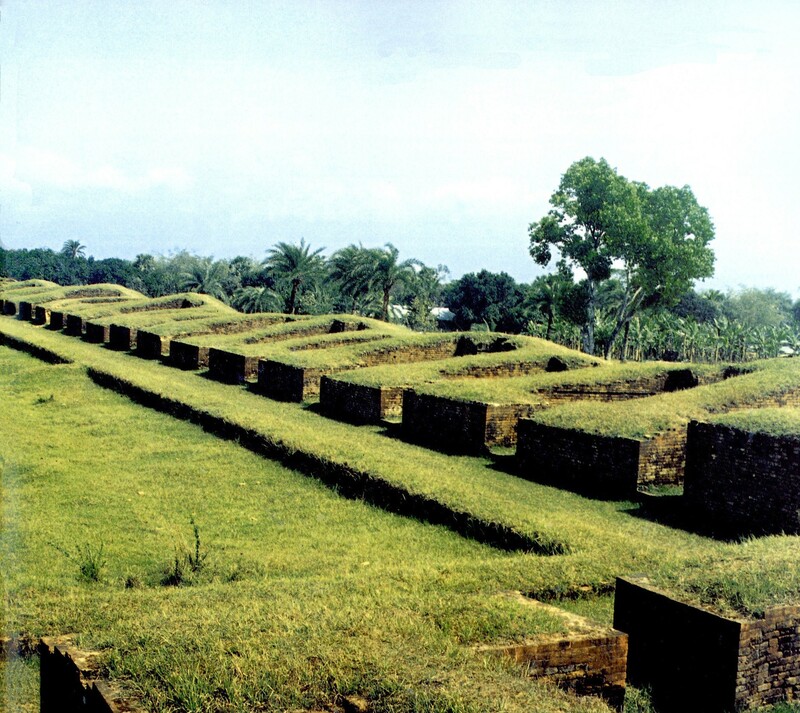 The Buddhist Historical Places: There are many historical places of Buddhist heritage in Bangladesh. Many of them were designated by World Heritage Site of UNESCO in 1985. Sompura Mahavihar in Paharpur, Naogaon district of Bangladesh is one of them. 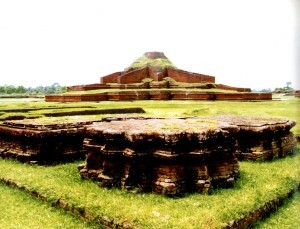 It is a Buddhist historical place which was discovered for the first time in Bangladesh. It is one of the most important archeological sites in the Subcontinent. Vasu Vihar of Mahastangar, Bogra, Salbana Vihar in Comilla, Sitakot Vihar in Dinajpur are other famous Buddhist heritage and archaeological sites in this country. Apart from this, there are many small and non-popular Buddhist archaeological sites also have in this country. 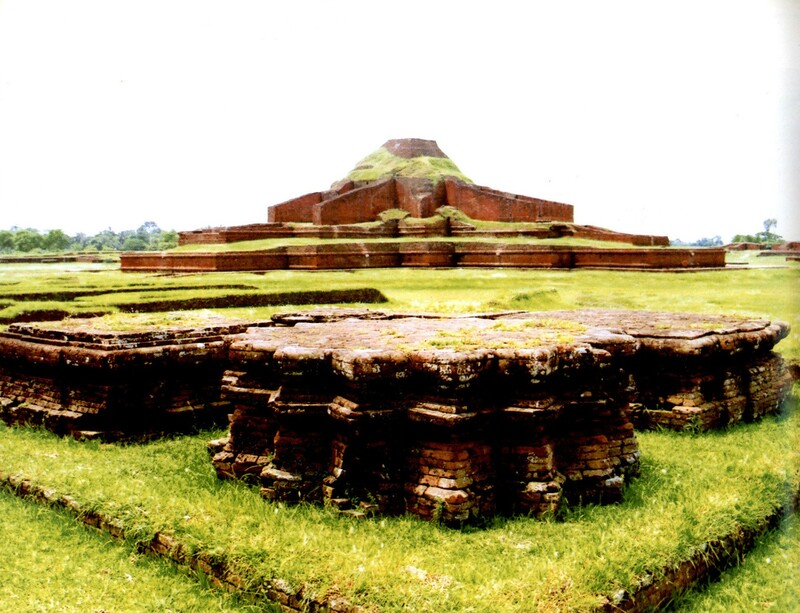 These valuable archaeological sites bear ample pride, glory and honour not only for the Buddhist community of Bangladesh, but for the entire nation as a whole. Every year many visitors from home and abroad come to see these places. Government also earns revenue through historical sites . These are the witnesses of ancient Buddhist places, where Buddhist culture would be practiced. Arial view of Sompur Mahavihara Greatest University of the World at Pahapur, Rajshahi, 9th Centurt A.D. Conclusion: The present-day Buddhism in Bangladesh is the consecutive flow of Theravada Buddhism. 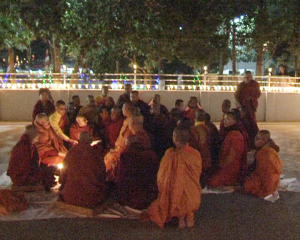 The present-day Buddhist rites and rituals are the cultural wave of ancient Theravada Buddhism. It is mentionable here that, from time to time some religious cultures or religious activities have been associated with the main stream of Buddhism of Bangladesh. But these could not deteriorate Theravada Buddhist culture; they were conducive to the main stream of Theravada Buddhism. In the age of gradual development of science, free market economy system and globalization, human beings used to practice logic and reality in every aspects of life. In this perspective we can consider Buddhism a very useful religion or philosophy or culture in the present age. Bangladeshi Buddhists are habituated with this logical thought of Buddhism as belongs to Theravada Buddhist heritage. Finally, we can say that, the present-day Buddhist religious thoughts and culture in Bangladesh is quite wholesome and befitting with the society and nation. 1. Majumder, R. C.(ed.) : History of Bengal Vol. 1, P-416, Bharatiya Vidyabhavan, Bombay,1955. 2. Chowdhury, Abdul Momin : Dynastic History of Bengal, The Asiatic Society of Pakistan, Dacca,1967, p- 9. 3. Geiger, W. (ed. ): Mahavamsa, Pali Text Society of London, 1980, p-26-50. 4. Law, B. C. (ed. ): Dipavamsa, Ceylon, 1959, p-164. Part – 1, p- 301. 7. Beal, S.: Buddhist Western Record of the World, Vol: ii,London, 1906, p-194. 8. Mitra. R. L.: The Sanskrit Buddhist Literature of Nepal, Delhi,1981, p-73 and 237. 9. Vaidya, Dr. P. L. (ed. ): Divyavadana, Bihar,1956, p-257. 10. The Gazetteer of India, Vol. 2, Ministry of Education, Government of India, p – 97, 1973. 11. Dhammapada – Verse, 73-74. 12. Mahaparinibbana Sutta, Digha Nikaya. 13. Mahavamsa (Book of Vinay Pitaka series of Holy Tripitaka. ), Upasatha Addaya. 14. Kankhavitarani (A commentary of the Vinaya Pitaka), p- 3. 16. Bangladesh Archaeological Report – 2001. 17. i. Photo 1, 2, 11, 12, 14- Anisuzzaman, khan, Shamsuzzaman and Islam,Syed Manzorul (Ed. 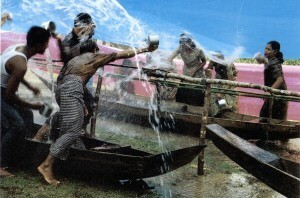 ), Festivals of Bangladesh, Nymphea Publication, Dhaka, 2005, P. 83, 84, 85, 90.
ii. Photo 3, 4, 5, 7, 10, 13,15, 16- Taher, M.A.,Buddhism of Bangladesh, Oitijjhya, 2010, p. 48, 49, 61, 67, 72, 74.
iii. Photo 6, 8, 9- Md. Hamidur Rahman, Bangladesh National Museum.